Canada's financial hub and the biggest city in Canada, Toronto has wonderful shopping, sights, museums, nightlife and atmosphere. By far the cleanest city in Canada, Toronto has outdoor activities just a few hours away by car. For more information see our guide to Toronto. The biggest city in Quebec and a vibrant cosmopolitan city, Montreal has culture, nightlife and outdoor activities for all. The locals speak and understand both French and English and love to have a good time through to the wee hours of the morning. See our Montreal Travel Guide. Vancouver is a coastal city set within mountains in the province of British Columbia. Although quite expensive relative to other Canadian cities, Vancouver's beauty is unforgettable. Read our guide on traveling to Vancouver for more information. 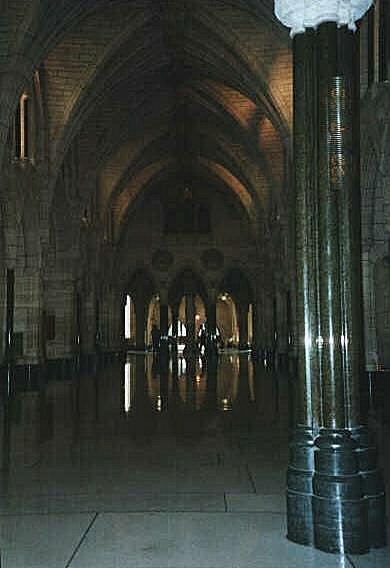 Ottawa is the nation's capital and you can find more information about visiting Ottawa. The capital of the Province of Quebec and one of the oldest cities in Canada. Find more info on Quebec and tips about traveling to Quebec City. Alpine lakes, glaciers, fantastic views are all to be had here in the Rockies situated in both Alberta and British Columbia. The major sights are Lake Louise, Banff National Park. An hour and a half out of the city of Toronto and you are at the world famous Niagara Falls. 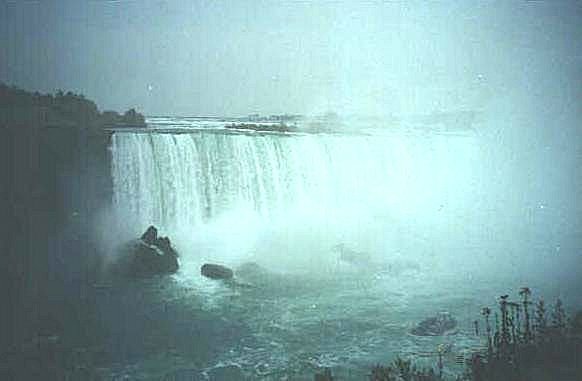 Situated on the border with the United States, Niagara Falls is definitely more enjoyable on the Canadian side. You can walk under the falls for a price or wager some money at the Casino nearby in town. 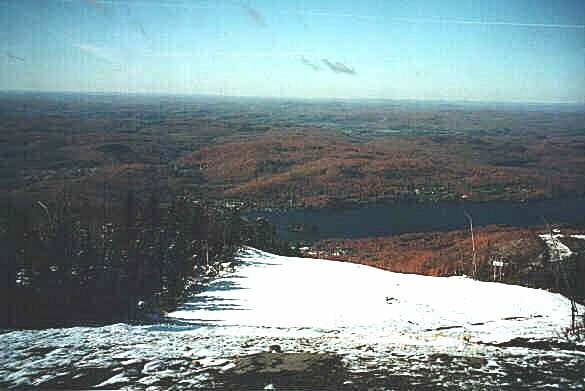 Muskoka is the name given to an area about 3 hours drive north of Toronto on highway 60. The area is renowned for it's plethora of lakes, canoe trails, hiking, scenery and serves as a major summer holiday destination for Torontonians, with their exclusive cottages, and foreigners alike in the many resorts. The main towns are Bracebridge, Huntsville and Gravenhurst. 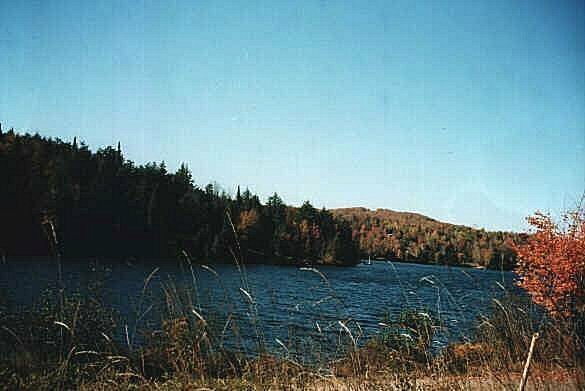 Algonquin Provincial Park in Ontario is the largest in the province and the perfect image of the Great Canadian Outdoors. Located about a 3 hour drive from Toronto, the park is popular for it's great canoe routes, hiking, boating and fishing in the summer months while in winter cross-country skiing, ice-fishing and dog sledding or mushing are great activities to experience a winter wonderland. Pick up your supplies in Huntsville before entering Algonquin Park. Banff National Park and Jasper Park are just two of the country's more popular parks with spectacular scenery found nowhere else in the world. With major arts, theatre, concerts and sports teams in every major city in the country, Canada has a variety of cultural and sporting entertainment for everyone. You can go for hiking holidays or just go for one-day walks in some of the most beautiful landscapes in the world. You may be able to spot Caribou, deer, black, brown and grizzly bears. There are plenty of official trails to take so do research where you would like to go before setting off. With so much water and the Native American population to design the best canoes, who could not want to go on a canoe trip. Whether it is a short or long trip, bring plenty of clothes and water with you. Be ready to tire yourself out because canoeing is not all fun and games as it looks like on television, especially when it comes to portaging. There are plenty of spots to see whales in Canada. The Pacific coast and St-Lawrence river near Tadoussac are world-renowned for the quality of sightings. Make sure to go at the right time of the year, as they are not always around. Toronto, Vancouver and Montreal all have fantastic venues for you to dance the night away and get properly liquored. Maple syrup is probably Canada's most popular and well known export to the rest of the world. Canadians like their big breakfasts. Eggs, bacon, beans, potatoes, toast and coffee. Especially weekends after a night on the town! Hit a local greasy spoon. When in Québec, this is a must.It's a dish with fries, chicken gravy and cheese. Bagels are widely available across Canada. They are particularly good in Montreal. Canadian salmon is among the best in the world. Have it smoked, poached or oven baked. You've got to have this hot sandwich while in Montreal. Canadian beer is good and quite strong so be a bit careful. You can find excellent hotels in Canada. Many of the main hotel sites will have listings for you. 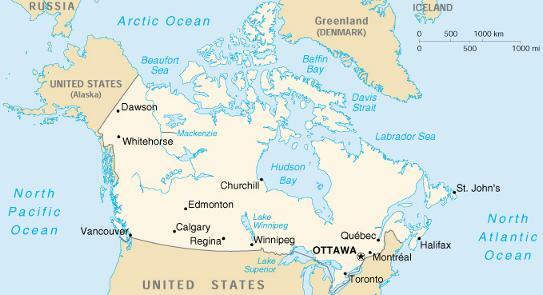 Find Canada Hotels. There are loads of hostels around Canada. Prices vary from hostel to hostel but are generally affordable. Search and book a hostel in Canada. Can be found most everywhere and offer good value if you are just looking for a place to put your head down. Family run Bed & Breakfasts are widely available across the country. Find out about camping in Canada on our page about Camping in Canada. All the major airports of Canada have excellent connections to the nearby city centres. Obviously the best way around town if you don't have a car. The best way around this vast country and its major cities is by car. Rental prices are affordable and gasoline prices are very good by world standards. Drivers are quite good here and road conditions are generally good except in winter when one should very careful. Major cities have excellent transportation systems. Canadians are extremely friendly people and may seem overly so at times but they don't mean any harm, they are just curious and hoping to get a good laugh out of you. French and English. The majority of people speak English but as a matter of courtesy to the Quebecois, address them first in French if possible. Ranges from GMT -4 (-5 with daylight savings) in the East to GMT -8 (-9 with daylight savings) in the west.